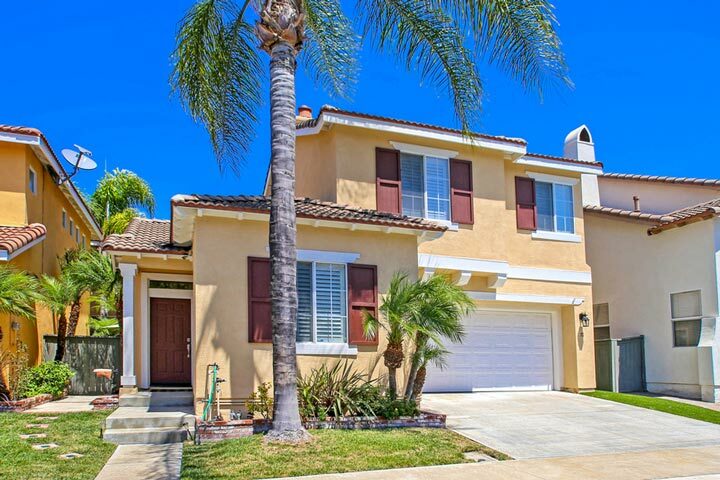 Talavera homes are located in the coastal community of Aliso Viejo. The Talavera community is a gated neighborhood in the heart of Aliso Viejo near Soka University. This is quiet neighborhood consisting of 122 single family home built in the Spanish architectural style. The various floor plans in Talavera offer three and four bedroom homes that average from 1,500 to 1,740 square feet. The homes were originally built in 1998 and through the year 2000 and are located next to award wining Canyon Vista Elementary School. The homes in Talavera are under a homeowners association with two monthly dues required which includes the gated entrance and the community pool as pictured above below. There is also an additional Mello Roos tax for these homes so please check with your local real estate agent on the exact cost. We proudly showcase are the homes for sale and for lease in Talavera. Please contact us at 888-990-7111 with questions regarding this community and any of the home listed for sale here.